Union Bank of India now offers you the power of the value-added, service-oriented Demat account - Union Demat. Union Bank is a Depository participant of Central Depository Services Ltd.
To carter to your individual needs as diverse as your portfolio, Union Demat will empower you with hassle-free, fast and accurate electronic transactions. Plus you get Union Bank's quality service which you are used to, at all times. UNION DEMAT: Conduct hassle-free transactions on your shares. Manage your securities at your fingertips. Today, physical securities are converted to electronic book entries by a Depository. Union Bank of India as a Depository Participant will deliver and/or receive securities on your behalf using your Union Demat account. According to the Depository Act 1996, the investor has the option to hold shares either in physical or electronic mode. SEBI has notified a list of securities where transactions will take list of securities where transactions will take place only in the electronic mode. Thus, you need Union Demat to transact such securities. However, you could later rematerialise the electronic securities and hold them in physical form. WHO CAN OPEN A UNION DEMAT ACCOUNT ? You just have to fill up an Account Opening Form, submit a photograph of the applicant along with a photocopy of Driving Licence / Election ID Card / Passport and your Demat account number will be intimated to you immediately on completion of processing of your application. 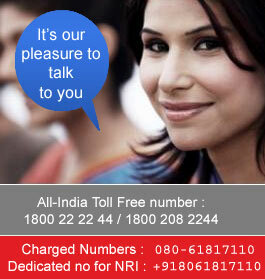 Besides, you also get additional benefits designed for your convenience. You will receive Transaction Statements and all other additional statements from time to time. A Nomination facility, Freezing / Defreezing facility etc are also available. Submit the application form in a prescribed format to the branch. Mention beneficiary bank and branch name with Indian Financial System Code (IFSC). The beneficiary bank's branch should be registered with the Reserve Bank of India under its RTGS system. Message will be sent in electronic form in a highly secured manner through Reserve Bank of India to beneficiary bank’s branch. Credit to beneficiary’s account will be made within 2 hours from the receipt of message by the beneficiary's banker. UNION DEMAT is one more value-added service offered by Union Bank of India for you, our valued customer. We have always focussed on customer service and satisfaction. We are committed to meeting all your needs, and would only be too glad to tell you more about Union Demat. So come, let us enter a new phase in securities management and dematerialize financial assets "the Union Demat way". All our Demat account holders can avail the net-based facilities ‘Easy’ & ‘Easiest’ provided by CDSL. 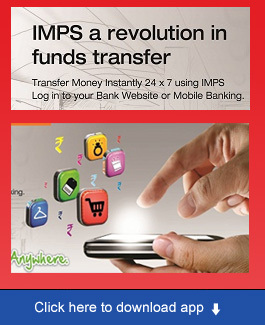 "Prevent Unauthorized Transactions in your demat account - Update your Mobile Number with your Depository Participant. Receive alters on your Registration Mobile for all debit and other important transactions in your demat account directly from NSDL on the same day issued in the interest of investors".
" KYC is one time exercise while dealing in securities markets - one KYC is done through a SEBI registered intermediary (Broker , DP , Mutial Fund etc. ), you need not undergo the same process again when you approach another intermediary".